Play from the Albert Schweitzer tournament held in Germany 2006. By Patrick Hunt. O5 and O4 up screen with both O2 and O3 flaring to the wing. 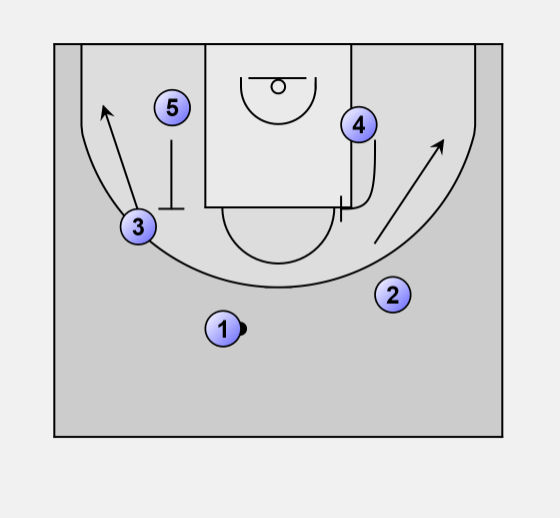 O4 sets an on ball screen with O1 then O4 dives to the low post. 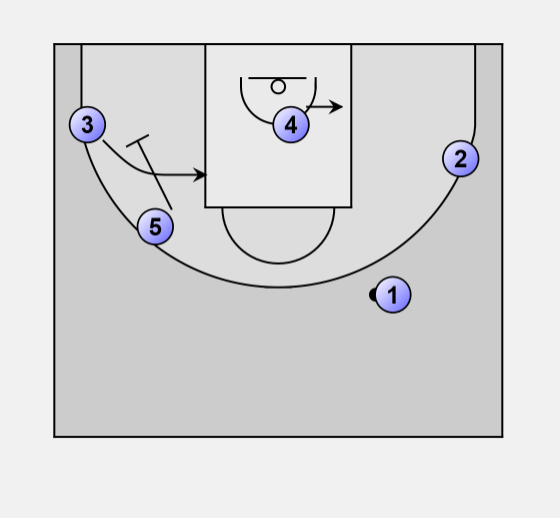 O5 down screens for O3. 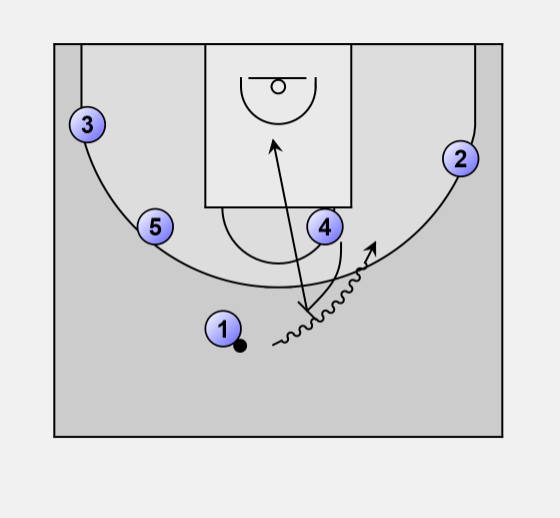 O4 sets to low post.